New. 0553103474 Ships promptly from Texas. by Joyce L Vedral, PH.D.
by Miriam E Nelson, Ph.D. I would recommend this book to women who have difficulty setting aside time for themselves. I refer to this book all the time. The difference 10-15 minutes every other day can make is fantastic. I started out not being able to do the exercises without weights and was able to increase weights several times within just 6 weeks. 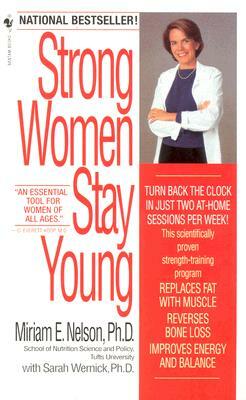 Definitely a must for your library if you are struggling to find that exercise program that is liveable and effective. Contains motivation, inspiration, information, and comes through with the goods.